Brick-and-mortar retailers continue to tap the Internet to expand their business base. Binny’s Beverage Depot, the 32-unit, Chicago-area retail chain, relies on Twitter as a component of its top-flight customer service strategy. “Twitter is our voice,” explains communications coordinator Hilary Jurinak. “It gives us the ability to quickly interact with our customers and reflects our commitment to customer service.” Indeed, the chain’s increased use of platforms like Twitter to inform consumers of special events, deals and product availability has alleviated heavy phone calls at the store level—a development that the sales staff appreciates, particularly during busy times of the year. Increasingly, leading beverage alcohol retailers are embracing a variety of social media platforms to interact with and better understand their customers—and they’re finding that these messages are reaching their target audience. From Facebook and Twitter to YouTube and text messaging, social media is dramatically changing many retailers’ approach to marketing. “Our social media use is vast—Facebook, Twitter, Pinterest, YouTube and Instagram,” says Lisa Rydman, who oversees advertising and marketing at the 170-unit Texas retail chain Spec’s Wines, Spirits & Finer Foods. “Social media has become an integral part of our marketing.” She notes that decreased newspaper readership forced Spec’s “to find a different way to reach people, and the digital age has certainly taken over.” The chain uses Facebook and Twitter to promote its wide array of in-store tastings, special product releases and even trivia games, while its YouTube posts feature special events like festivals and celebrity visits. Concord, California–based Beverages and More (BevMo), which operates 156 stores in California, Washington and Arizona, has more than 300,000 Facebook fans and takes a studied approach to the popular social media site. “We keep the content light and fun,” explains Kris Mulkey, director of influencer marketing and events at the chain. “We post at least three times a day.” The company is most active during prime Facebook time—around 9:30 p.m. In addition, BevMo varies the content to appeal to a wide array of fans, which Mulkey says includes “wine enthusiasts, cooks, cocktail newbies and craft beer lovers.” Even with its established success on Facebook, BevMo strives to add 100,000 new fans a year. Mulkey says Twitter can be more effective than other platforms in targeting specific customers due to hashtags and is a worthy tool to alert followers to new product arrivals and specials. She notes that BevMo’s social media budget is growing moderately year over year, adding that the company plans to explore tactics like texting, video and mobile application in 2015. Lorena Streeter, marketing communications manager at ABC Fine Wine & Spirits in Florida, says monitoring social media is a 24/7 job. With more than 140 stores sprinkled around the Sunshine State, ABC relies on a team of tweeters to post updates, including six store wine supervisors. The chain recently began offering prizes, such as gift cards and vendor incentives, via Facebook and Twitter, and its monthly rate of new followers increased tenfold, Streeter says, noting that ABC’s social media budget is on the rise. Big Red’s texting program is the result of the Indiana company’s study into the best way to speak to customers, Colglazier explains. The retail chain found that while wine consumers generally like communication via email and spirits drinkers enjoy videos, craft beer fans typically prefer text messages. Big Red solicits cell phone numbers in the store and at craft beer events, and to date, the company has collected more than 3,000 contacts. The retail chain’s YouTube page is also popular and often features Colglazier’s Bourbon reviews. The videos, which are accessible via Twitter, Facebook and email, typically receive 1,000 views a week. For certain special events, Binny’s employs a full 360-degree social media strategy. Jurinak points to the 2014 release of Goose Island Bourbon County stout late last year, when she set up a “war room” at Binny’s Lincoln Park location to update followers on wait-time and supply. “We had 800 people in line at the store, with some waiting up to 10 hours,” she recalls, adding that the social media posts helped keep fans updated on beer supply. Similarly, when Binny’s held a grand reopening for the Lincoln Park unit last spring—an event that featured The Boston Beer Co. founder Jim Koch—Jurinak employed video and social media posts to promote it. She adds that Pinterest has emerged as another strong social media platform with a high engagement level, particularly for cocktail recipes, and that the store’s “Confessions of a Mixologist” videos have received strong support through the site. 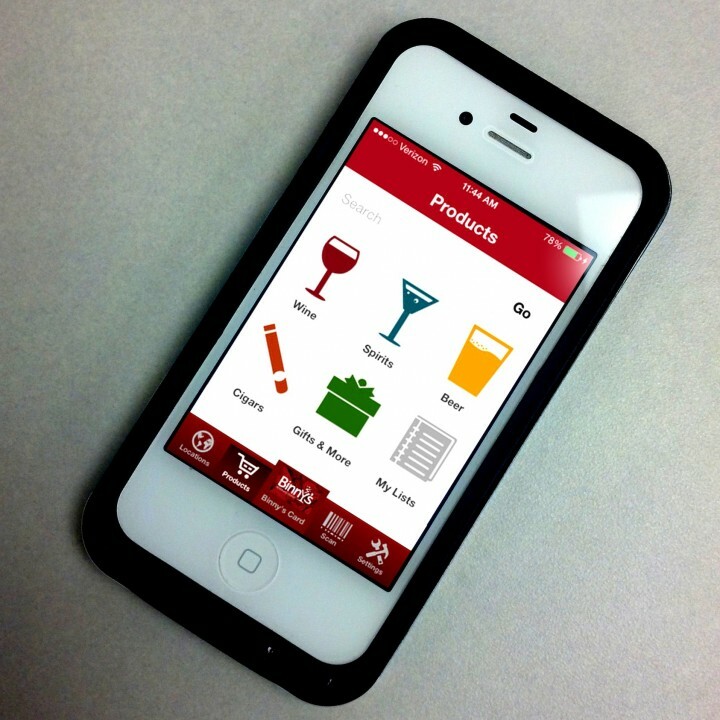 In 2013, the Illinois retailer launched an app and plans to add a cocktail section this year. Babcock’s video editing knowledge gives Bottles Fine Wine’s YouTube videos a professional look. “We aim to provide a behind-the-scenes tour of various producers,” she explains, adding that educational product presentations and other videos are shot in high definition. Recent examples include a visit to Dogfish Head Craft Brewery and a segment titled “How to Pair Wine With Pizza.” This year, Bottles will place a bigger emphasis on Instagram while keeping an eye on emerging social media platforms. While social media is becoming a bigger focus, most beverage retailers say it isn’t replacing traditional marketing and advertising forums, but supplementing them. “It gives us a quick means of reaching out to guests to alert them to tastings and classes in our stores, as well as time-sensitive deals,” Rydman at Spec’s says. BevMo’s Mulkey notes that while social media has decent reach, it doesn’t have as much as radio. Users of platforms like Facebook and Twitter must “opt in, unlike radio,” she explains. BevMo has also found that social media can offer significant savings when it comes to things like help-wanted advertising. The chain ran ads on Facebook and Twitter for three months that resulted in 300,000 views and 3,000 inquiries. “It was hugely effective and cost less than $1,000,” Mulkey says. Big Red, meanwhile, has cut back on newspaper advertising because of online opportunities. “A lot of our spending is on social media now,” Colglazier says. As with other marketing forums, social media can present its share of challenges for beverage alcohol retailers. State and local laws and regulations must be followed, and retailers need to depict their stores and inventory in responsible fashion, regardless of how irreverent social media can sometimes be. “We want people to learn about our products and have a good time, but also understand the potential for misuse,” says Rydman. Ensuring that social media messages only reach those 21 and older can be challenging. “I spend a lot of time researching whether our followers are of legal drinking age,” Jurinak says. Indeed, Streeter notes that many ABC Fine Wine tweets include the hashtags #MustBe21 and #WeID.